2017 will be a milestone year for a cappella. 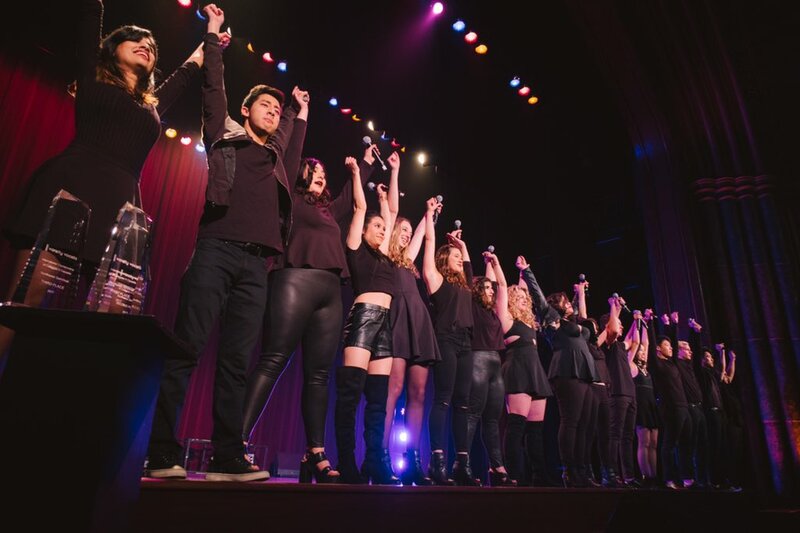 Back in November of last year, Varsity Vocals, the organization behind the biggest competition in competitive a cappella (ICCA) announced a brand new contest where the best of the best would compete against each other, with no restrictions. Yes, we're talking about "The Open." For the first time ever, high school, collegiate, semi-pro and amateur groups from around the world have the opportunity to go head-to-head in hopes of being crowned the best a cappella group in the world. Oh yeah, and there's a small prize of $25,000! News of the official competitors has just been announced (see below). Tickets for each of the six semifinal events will be available June 1st. You can also begin purchasing tickets to the The Open Finals, which will be held at Carnegie Hall on Sept.
For more details on competitors for "The Open" visit Varsity Vocals here.